Every student, scholar, and freedom fan must have a copy of Classical Liberalism and the Austrian school at hand, readying them for intellectual battle! 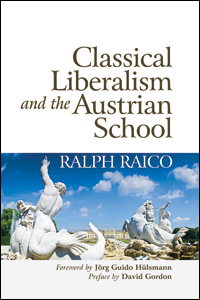 Here is the book to learn classical liberalism from the ground up, written by the foremost historian in the Austrian tradition--Ralph Raico. Every student, scholar, and freedom fan must have a copy of Classical Liberalism and the Austrian School at hand, readying them for intellectual battle! It is indeed rare to study directly under two giants of the Austrian school. Raico wrote his dissertation under the direction of F.A. Hayek at the University of Chicago after being admitted as a high school student to Ludwig von Mises’s NYU seminar in New York. Raico and his friend and fellow Mises seminar attendee, Murray Rothbard, would turn into the modern champions of true liberalism. Raico takes on all comers, disposing of all opponents of the market from Keynesians to Marxists and everyone in between, with crackling prose and sizzling wit. The liberal history comes alive with Raico’s pen, and at the same time quenches the reader’s thirst for detail, infusing an excitement that urges the reader to further explore. Raico’s breadth of scholarship is on full display, combining insights and arguments from disparate points. He provides clarity to a history that is often slanted and distorted. Multiple reference lists contained in the book will serve as a classical liberal treasure trove for students and scholars for decades to come. In his foreword, Austrian School scholar Jörg Guido Hülsmann, credits Raico with educating modern Germans about fellow countryman and forgotten liberal champion, Eugen Richter. Furthermore, the book’s preface by Raico’s friend and colleague, David Gordon, is both extensive and illuminating. 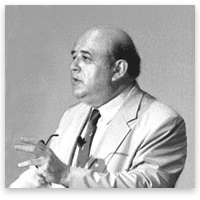 The great historian of classical liberalism strips away the veneer of exalted leaders. Every student, scholar, and freedom fan must have a copy at hand, readying them for intellectual battle!